THE ULTIMATE WRAP GIVEAWAY. .
Hit the email below and enter to win in. Limited one entry per person per follower per email for duration of contest entries entered in excess of stated limitations will be void. Contest begins Jan 11 2018 ends April 15th 2018 or at 10,000 followers whichever comes first. Winner will be selected in a drawing from among all eligible entries received. 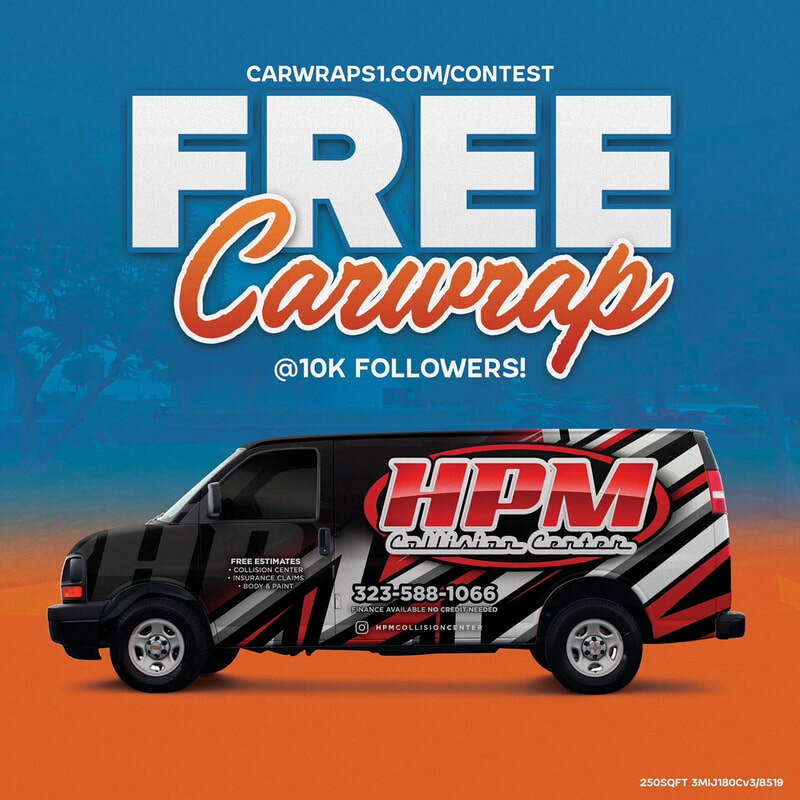 Carwraps1 will attempt to notify winner via telephone or email. Winner will be required to bring the vehicle of their choice to the facility up to 250 sqft of printed wrap. If winners vehicle exceeds 250sq ft winner may choose to pay the difference or choose a partial wrap. Winners total value is $2500 wrap design fee included.